Like it or not, social media is an effective tool for just about any industry. It might take a few weeks for B2B companies to understand how to best share their content on Facebook, Twitter, or LinkedIn, but once a solid social media promotion strategy is created, the benefits are significant. One commercial real estate company was no stranger to this issue. As the nation's leading provider of commercial real estate data, analytics, and trends, their content is rich with expert insight and should be thoroughly consumed by every commercial real estate professional. While their blog may have been inundated with great content, they had yet to find the best way to share that content with their audience to ensure the entire industry knew who was the preeminent source of data. Reis is the nation's leading provider of commercial real estate data, trends, and analytics. They have been the industry leaders for over 35 years, and the content they are sharing showcases that fact. Reis's team of economists are constantly sharing industry updates with media publications. Even more, the economists would spend time analyzing certain trends in downloadable eBooks and reports. These downloadable resources would be recreated every quarter, and published as new. While Reis had an effective way of recreating content published on the Wall Street Journal, Bloomberg, and other publications, they had no documented strategy on how to release that content to their industry and followers on social media. Commercial real estate is an incredibly large industry, and content created in CRE is typically time sensitive. CRE professionals are almost always interested in recent trends, especially in specific sectors like office buildings or apartments. These professionals are already on various social media platforms and are likely to engage with content pertaining to their industry. Even Reis strongly emphasized time-sensitive content. Every quarter, all their content practically hit the reset button. New data would be announced, fresh data would be presented, and new trends would be identified creating the need to pore through Reis's newly created content to find the noteworthy gems that CRE professionals would want to see. With REIS' business model, getting evergreen content to their audience was critical for success. We worked with them to develop a timeline for creation and publication that aligned closely with their reporting cadence. The ability to pre-plan for reporting releases helped us turn social publication quickly. What Does Social Media Success Look Like? It's essential to understand that social media isn't just about getting likes or comments. Successful social media marketing isn't tied down to just one measure; rather, it's a combination of all of them. Success can be derived from page likes, post interactions, traffic generated, contacts generated, and even customers/revenue generated. Even more, companies that present value in their social media posts can benefit from outside companies sharing their content. Knowing all this, social media marketing can be looked at as a way to distribute content, as a lead generation tool, and even how to achieve additional revenue streams. Reis has an imposing amount of content. They've got economic reports on apartment properties, office units, retail centers, student housing developments, industrial/warehousing properties, and much more. Not only that; they're constantly looking for other 'sectors' to add to their already impressive portfolio. These posts were mostly comprised of repurposed content from Reis's reports, their blog posts, and videos. That meant reading through Reis's reports to collect the juicy bits of information that people were wanting. We dedicated ourselves to learning the commercial real estate industry so that we could talk about the trends and technical pieces of data with confidence. 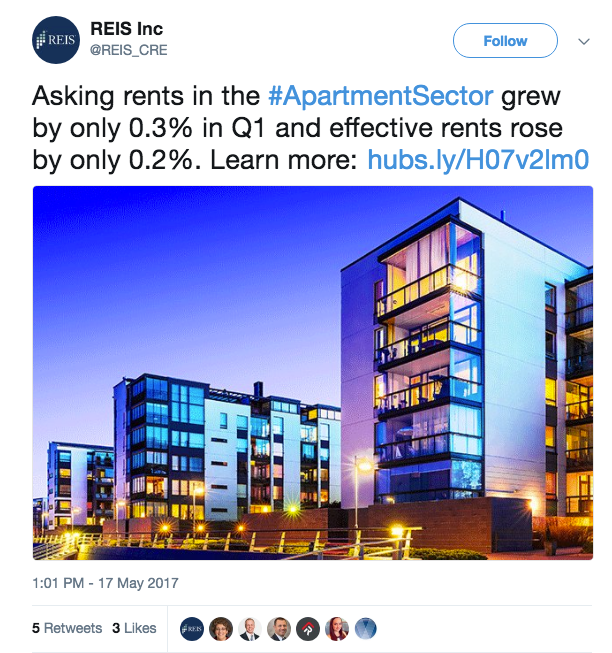 Every quarter, we spent the time analyzing Reis's new data to find the juicy bits of information that commercial real estate brokers or investors really cared about. Through concentrated efforts to improve Reis's already churning social media strategy, Revenue River pushed Reis's content further than previously thought. All the stats above have over 72% increases, all within six months. That's not even showcasing the overall growth from the entirety of Revenue River's involvement with Reis's social media. At the time of writing this article, we'd collected over a year and a half's worth of data, and over that time, Reis achieved some considerable growth in just about every category of social media marketing success. In case you skipped over the above infographics, by posting more often and sharing time-sensitive content, Reis was able to grow their Twitter audience by 40%, their LinkedIn audience by over 50%, and started their own Facebook page afterward. 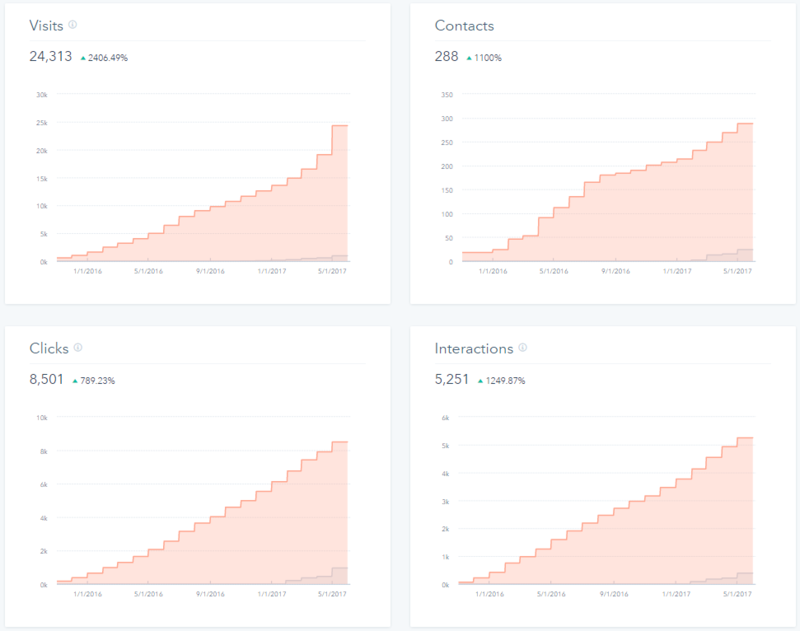 Following a consistent publishing schedule gave them almost unbelievable results in clicks, interactions, and contacts generated. 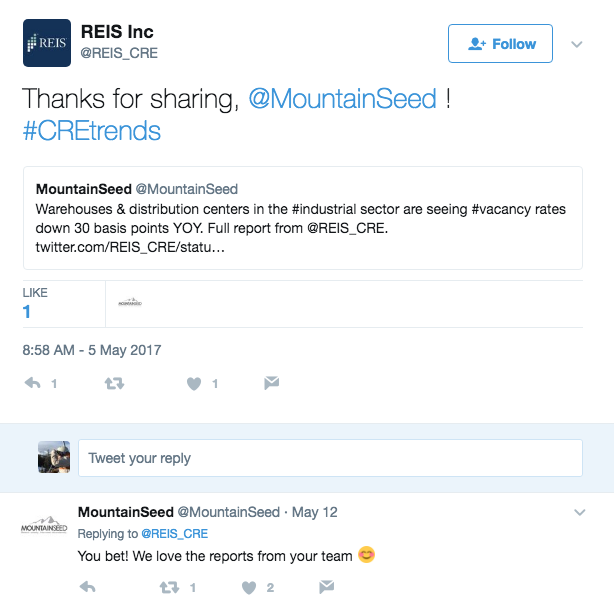 In addition to the outstanding social metrics listed above, Reis also saw their target audience start sharing their content. One commercial real estate appraisal management firm regularly shares Reis white papers, blog articles, and other content. There was no request for them to share Reis content; it just happened. The results from Reis's social media campaign speak for themselves. A consistent publishing schedule, backed by data-driven strategies extended content into a medium that is widely accessible to their massive audience. Even more, their audience engaged with their content with high amounts of success. Reis's shared content was getting engaged with, and when that happens, it's essential for companies to thank their audience. Not only are they consuming your content, but they're also taking the time to reach out and tell you that they liked it. An essential part of running social media campaigns is engaging with people, and when more and more people engage with your content online, it can grow cumbersome reaching out to all of them. However, the importance of thanking these people shouldn't be understated. Reis always responded to or engaged with these people. Successful social media strategies can be difficult to showcase, but that's simply not the case here. Reis was able to claim that on a consistent basis, they were increasing site traffic, the number of leads generated and were even responsible for the acquisition of new customers. Different KPIs were improved, but their successful social media came from a change in how content is shared. Reis saw effective content distribution through three primary changes. First, by pushing relevant, curated content towards places that their audience already was. Second, by extending the 'shelf life' of their content through strategic content repurposing. Third, by making their data-rich content consumable for all CRE professionals. We have the best data and analysis available for our industry, and we wanted to present it in a manner that fits the part. Revenue River was instrumental in helping us achieve that goal. Senior Marketing Manager REIS, INC. 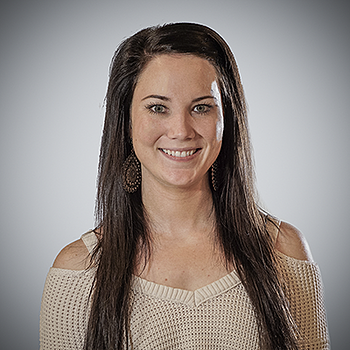 Put our marketing team to work driving results for your business. How Can You Replicate These Results? Compelling social media results don't stem from a one-size-fits-all solution or strategy. 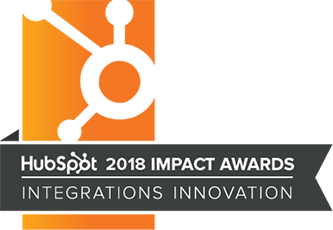 It really depends upon the industry, the company, and many more variables that ultimately have an impact on what the results will be. Even more, it takes time to work the first version of your social media plan to the final data-backed and repeatable strategy that drives results. B2B companies have to understand that they must be on social media in order to compete. The best social media strategies stem from authentic and digestible content that can drive traffic back to your website, increase the number of fans, taps into unforeseen revenue streams, and much more. Most importantly, if you're not on social media, you can safely bet that your competitors are. For a better understanding of your companies social media strategies, fill out the form below. Your social media accounts and your followers will thank you!